The European bioeconomy and its contribution to the creation of jobs and economic growth. The Juncker agenda and the new plans of the European Commission to foster the development of the bioeconomy . These are just some of the topics addressed by John Bell – Director of Bioeconomy Directorate of the European Commission – in this exclusive interview with Il Bioeconomista. Mr Bell, the better use of biological resources can allow Europeans to live longer, healthier lives, reduce our dependence on oil, address key environmental challenges, transform manufacturing processes, and increase the productivity and scope of the agricultural sector while growing new jobs and industries. As far as you’re concerned, what is the role of Europe in the global Bioeconomy? Europe is providing leadership for the transition towards a bioeconomy, among others by raising political awareness for the need of coherent framework conditions to promote investment. The EU is enabling public and private investment in new Bioeconomy value-chains and is also fostering skills development, regulation and standardisation (for labels and public procurement). Sustainable agriculture, for example, is at the roots of future value-chains of the Bioeconomy. Biotechnologies and chemistry can notably transform renewable resources like vegetable oil, animal fats, corn and many other forms of renewable biomass into bio-based plastics, and bio-chemicals. Valorising organic by-products and residues from livestock and crops will also be essential to realise the potential of the Bioeconomy. Existing and future value chains represent opportunities for European agriculture and industry – including the food industry and the chemical industry. The Juncker Commission has set its main priorities on jobs, growth, fairness and democratic change. This also brings new momentum to embed the Bioeconomy in the European economy. What are the activities of the European Commission to foster the Bioeconomy? The Bioeconomy contributes to generating jobs and growth, whilst increasing Europe’s competitiveness worldwide as well as decreasing the environmental footprint of our economy. It is furthermore closely related with other key priorities of the Juncker Commission, such as the Climate and Energy Union. Commissioner Moedas (European Commissioner for Research, Science and Innovation, editor’s note) has stated that it is crucial to improve the framework conditions for the Bioeconomy, so it can deliver on its great potential to create jobs and promote growth. To implement the Juncker agenda of jobs and growth, the European Commission announced a € 315 billion Investment Plan in November 2014, to get Europe growing again and get more people back to work. The Investment Plan foresees in the creation of a new European Fund for Strategic Investments (EFSI), guaranteed with public money, to mobilise at least € 315 billion of additional investment over the next three years (2015 – 2017). The EFSI fund is also available for investments in the Bioeconomy, and thus provides for substantial opportunities in addition to the funding available for the Bioeconomy via Horizon 2020. As part of the Investment Plan also an ambitious roadmap will be implemented to make Europe more attractive for investment and remove regulatory bottlenecks. Europe should also lead on removing legislative barriers for the Bioeconomy, which may hamper the opportunities to deliver jobs and growth. The challenge is to keep this legislation simple – not to go beyond what is strictly necessary to achieve policy goals and to avoid overlapping layers of regulation. The European Commission is meeting this challenge through its Regulatory Fitness and Performance Programme (REFIT) which commits to a simple, clear and predictable regulatory framework for business workers and citizens. Under REFIT, the Commission is screening the entire stock of EU legislation on an on-going and systematic basis to identify burdens, inconsistencies and ineffective measures and identified corrective actions. Work has started on ‘Fitness Checks’ in legislative areas that are relevant to the Bioeconomy, such as waste, and the General Food Law. These Fitness Checks are a joint evaluation of the European Commission and the EU Member States. The European Union launched the Bioeconomy Strategy in 2012. What are your plans for 2015? The European Bioeconomy Strategy, adopted in March 2012, aims to streamline policy approaches in this area. Its Action Plan is structured around three pillars: (1) Investments in research, innovation and skills; (2) Reinforced policy interaction and stakeholder engagement; and (3) Enhancement of markets and competitiveness. Contributing to the Juncker agenda, the Commission intends to focus its activities in 2015 on the third pillar of the Bioeconomy. The Commission will therefore develop actions to boost investment in the Bioeconomy, develop new Bioeconomy value chains and markets, address knowledge gaps and increase stakeholder engagement. For example, the European Commission will organise a Bioeconomy Investment Summit on 9 and 10 November 2015. This will be an opportunity to set out a high-level agenda for further investment in the Bioeconomy. 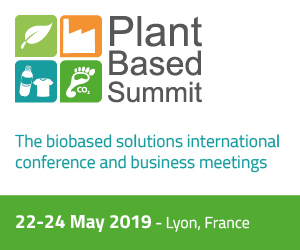 The aim of the event is to create political momentum and consensus in the Commission and where possible in Member States for the necessary policy and regulatory decisions that will encourage investment in innovation in the Bioeconomy. This in turn should help to better realise the potential of the Bioeconomy to create new jobs and growth, including in rural and coastal areas. Investment should come both from the private sector, from EU structural and investment funds, and from others sources. Investments will also be secured via the public–private partnership Bio-based Industries (BBI). Running from 2014 to 2024, this initiative has a total budget of € 3.705 billion for funding research and innovation, of which € 975 million are coming from the European Commission and € 2755 million from the private partners. The BBI launched its first call for proposals in July 2014, with a focus on biorefineries. The BBI intends to focus also on development of value chains, which will follow a ‘cascading principle’ to get most out of raw material and avoid the creation of waste. Furthermore, the Commission intends to develop a Bioeconomy Knowledge Centre, to gather intelligence on the Bioeconomy that can support evidence-based policy making. Via these and other activities, the European Commission aims to improve the policy and regulatory environment for investment in innovations in the bioeconomy. The European strategy focuses on sustainable industrial processes. The White House blueprint is aimed at fostering all biology-based businesses, including pharmaceuticals and medical devices. Why does the European Strategy not consider the Pharma and Medical devices industries? 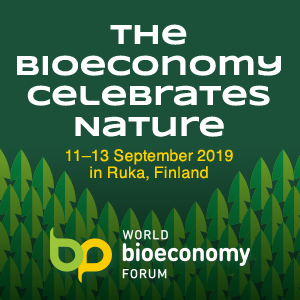 While the European Bioeconomy Strategy does not focus explicitly on the pharmaceutical and medical devices industries, it takes an inclusive and comprehensive approach, promoting optimal framework conditions to enhance markets, competitiveness and investment in the Bioeconomy. It aims to support bio-based industries generally, enabling a more innovative, sustainable use of renewable resources for industrial purposes. This will also benefit bio-based industries that operate in the context of pharma and medical devices. It can be noted that even without the pharmaceutical and medical devices industries, the Bioeconomy is a huge industrial sector. The Italian government itself has focused on the context of the “green economy”, as an economic development model based on sustainable development and knowledge of ecological economics. In Italy around € 330 million were invested in 2011 by the private sector in bioeconomy R&D, and Italy cooordinated 8% of the European Knowledge Based BioEconomy funds (KBBE). There were some 154 thousand companies in Bioeconomy related sectors in Italy, employing more than 1.4 million people. The United States has adopted the plan Biopreferred to support the demand for bio-products. Why does Europe not adopt a similar plan? EU public procurement legislation stems from a different legal basis than the US equivalent. EU public procurement legislation provides for a neutral and objective legal framework to ensure the accomplishment of the Single Market within the EU. This means that the public procurement rules regulate the procedure of buying (how to buy) and not the subject matter of the procurement (what to buy). The modernised public procurement rules adopted by the EU in 2014 provide for new tools that contracting authorities may use in the public procurement process in order to include green, innovation and social considerations. But it is up to the contracting authorities to decide whether they use the tools provided by the public procurement legislation in order to pursue ecological, innovation or social goals. In theory, Member States are allowed to put in place national strategies or incentivising measures aiming at orienting the choices contracting authorities towards certain goals. These strategies or measures cannot however be contrary to the basic principles of the Treaty on the Functioning of the European Union, in particular the principle of non-discrimination. Large companies complain that in Europe there is a need for stability and coherence in the regulatory field of new energy. What do you think about this? Regulatory stability and predictability is an issue for almost all companies in all sectors who are considering significant capital investments. Companies are right to expect that policy-makers will avoid frequent and unnecessary changes to the regulatory framework that make the return on investment hard to predict. At the same time, many industries also argue for changes to the existing regulatory framework in order to encourage investment in new technologies and to help develop new markets. Our job as policy-makers is to gather as much evidence as we can about the potential effects of different policy choices, and to put forward the best possible proposals in the common interest of European citizens. Usually there are no easy answers, and trade-offs often have to be made. 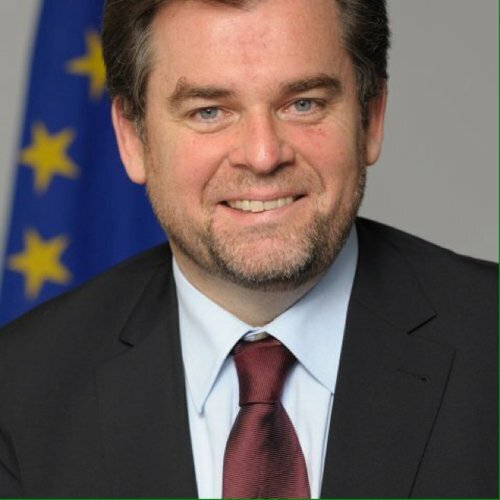 In the case of regulation affecting bioenergy and biofuels, the European Commission has sought to balance the need for a stable investment environment with other important policy goals including energy security, food security, climate change mitigation, and the generation of economic growth and jobs. There is also a growing movement of thought according to which the RED hinders the development of material use and therefore that of the whole bio-based economy. 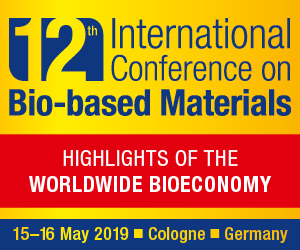 Unfavorable framework conditions combined with high biomass prices and uncertain biomass supplies deter investors from putting money into bio-based chemistry and plastics – even though these would produce higher value and greater resource efficiency. Do you agree? We do hear arguments from some stakeholders who feel that the RED has had the unintended effect of making it harder to access biomass for non-energy uses. But there is also the counter-argument that the RED has been successful in terms of encouraging investments in technologies, logistics and infrastructure that have the potential to be used for material as well as energy uses of biomass. From this perspective, the RED might be seen as a useful catalyst for the development of the bioeconomy as a whole. In the future, we expect that biorefineries will increasingly be able to process biomass in a cascading approach favouring highest value added and resource efficient products. In its recently announced plans for the Energy Union, the European Commission committed to put forward a new Renewable Energy Package in 2016-2017, which will include a new policy for sustainable biomass and biofuels. The European Commission’s Bioeconomy Strategy takes an inclusive and comprehensive approach, covering the production and use of biomass for food and feed, materials and energy. As such it is an important instrument for promoting coherent and balanced policy that takes proper account of the different uses of biomass.